Two people were killed and more than 50 others injured after a fire broke out Tuesday at a public sauna in Daegu, firefighters said. 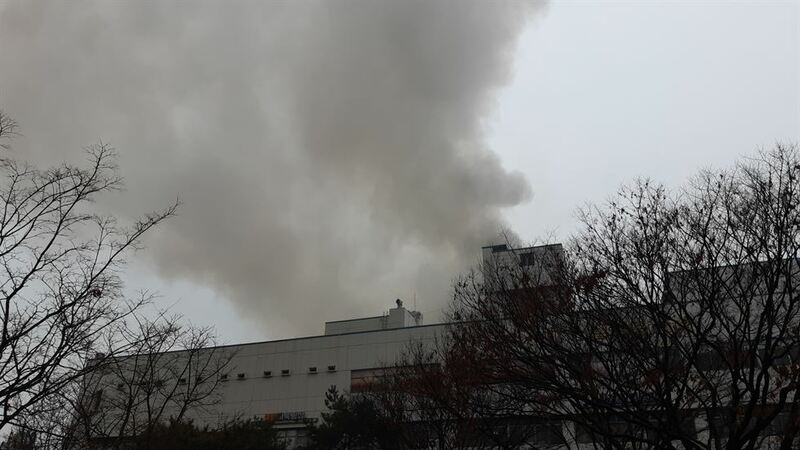 The fire started at 7:11 a.m. in the men's sauna on the fourth floor of a 7-story building in the city, about 302 kilometers southeast of Seoul. Firefighters put out the fire in about 20 minutes. Most of the victims were found to have inhaled smoke and were sent to the hospital, including the two deceased and another who suffered severe burns. The sauna occupies third to fifth floors of the building, while the upper stories are residential units. Restaurants are located on the first and second floors. A witness told police the fire started at the entrance to the men's sauna.